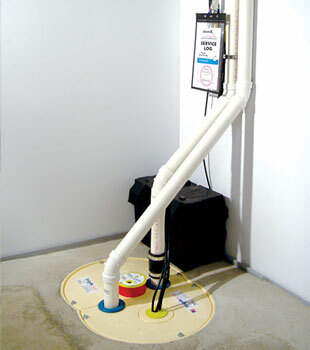 Basement Systems recommends using submersible sump pump systems for basement waterproofing. 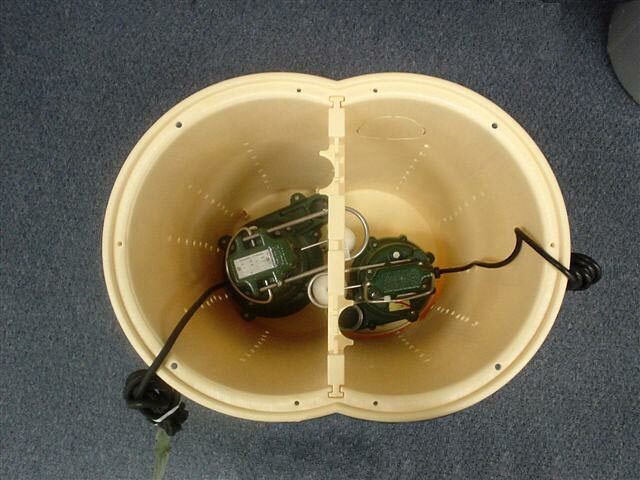 These systems are submerged directly in the water as they pump, and are contained within the sump pit. 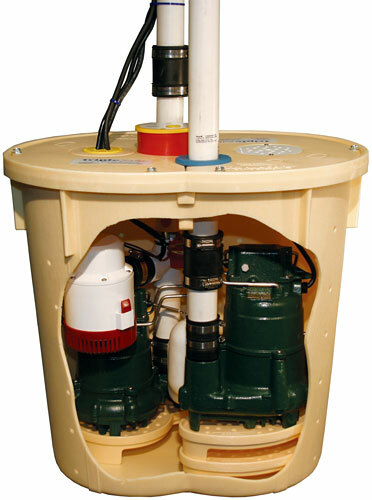 At Basement Systems, we are not manufactures of sump pumps. This frees us to research the best pumps in the industry and use them. 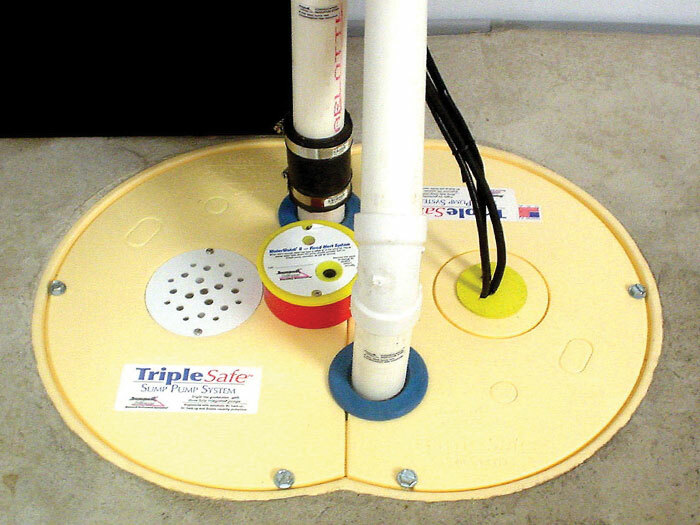 To learn more about the TripleSafe system, as well as what it would cost to install a customized sump system in your home, contact us today to schedule a basement waterproofing quote! 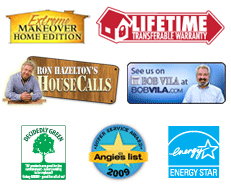 Our free quotes are available to homeowners through our Certified Dealers all across Canada, the United States, and the United Kingdom. 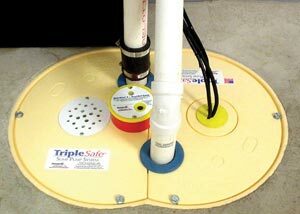 Before the day you'll receive a mailed, complimentary copy of our full-color basement waterproofing book! 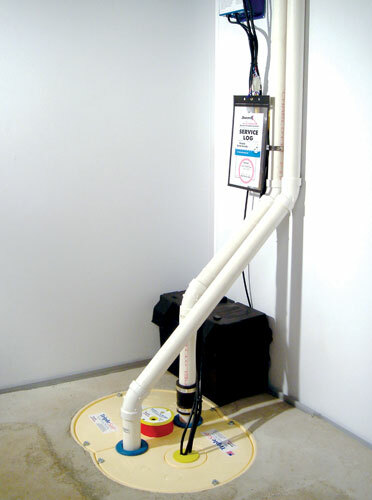 This book is filled with everything you need to know about waterproofing and upgrading a basement. 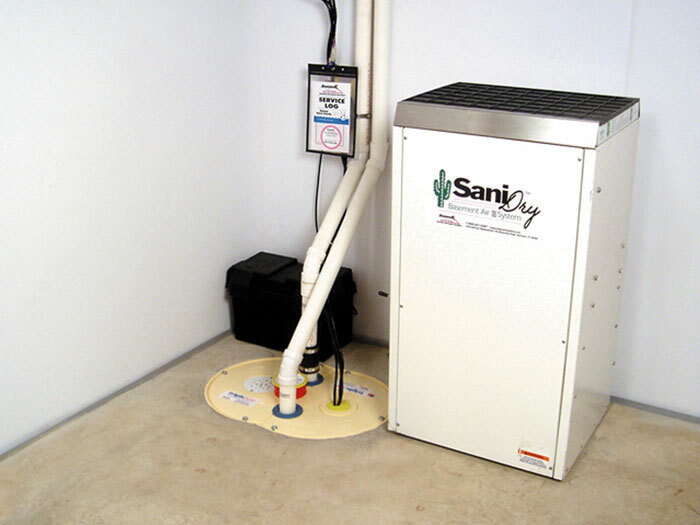 You'll also find information about all our products and services -- as well as the science behind what we've chosen for our complete waterproofing system.